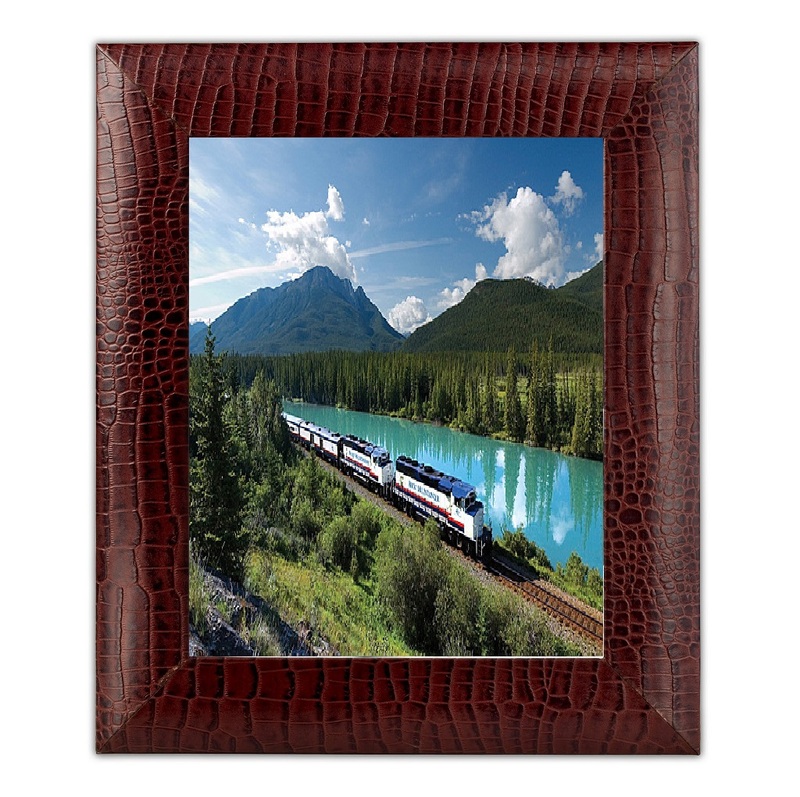 Enhance your office decor with an attractive brown crocodile leather picture frame. It measures 8 inches x 10 inches and is also available in other sizes. 10" X 0.2" X 8"